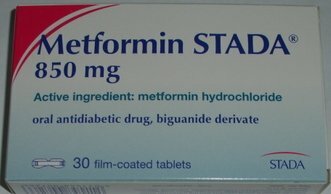 I was diagnosed with type 2 diabetes 2 weeks ago an prescribed 500mg metformin which was increased to twice daily. In the last couple of days I have been suffering with rather painful leg cramps and nausea. It seems a lot worse at night. I am going to talk to my diabetic nurse to see if I can control this without medication. Most probably you are facing intolerance (side effects) of Metformin. Usually, each drug has certain intolerance, which disappears after 2-3 weeks from the first pill taken. Other Metformin side effects include metallic taste in mouth (mostly seen in chronic diabetics). Talk to your doctor if you can shift to another drug. Usually, the first line of treatment for diabetes is certain changes in lifestyles and dietary habits. I do not know (I need other test results and other info from your medical record) why your doctor has decided for Metformin. Meanwhile, talk to your doctor for your problem, and start to lower your blood sugar levels naturally (diet and lifestyle changes, etc). 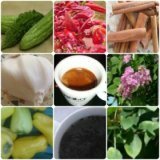 If you manage to control diabetes naturally very well, the dosage of Metformin (or other drug) will be reduced very soon, until you will not have to take it anymore. However, this happens only in case you are controlling your diabetes very well with your natural changes. I was taking Metformin twice a day at 500mg a day and started to notice my hair was going more at the top then on sides. I have always had very thick hair,now its very thin and missing hair a lot on top. I found out the side effect is hair loss plus weight loss,so i slowly got off. After 5 months on it,the loss has slowed down a lot,but don't know how long it will take for my hair to start coming back. Would not reccomend the use of it to anyone.